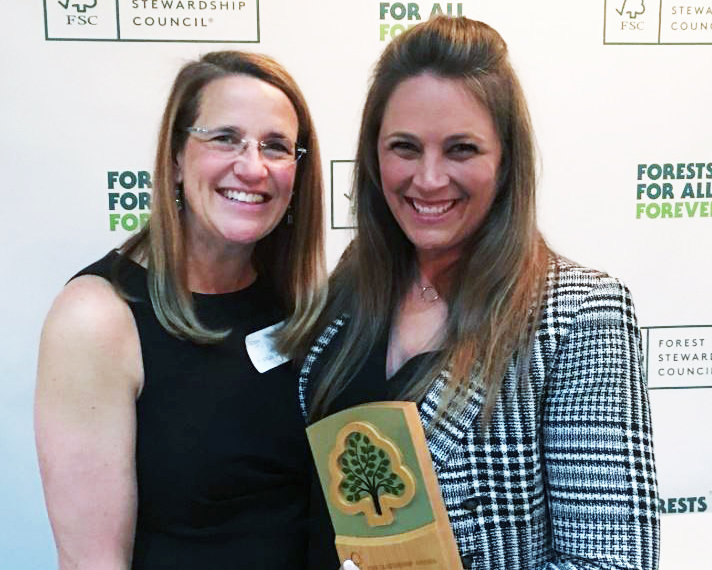 Kimberly-Clark, along with its partners from the World Wildlife Fund (WWF), were honored by the Forest Stewardship Council® (FSC®) with a 2018 Leadership Award for Kimberly-Clark and WWF’s “Heart Your Planet” collaboration. The program was unanimously selected for the Uncommon Partnership award for its success in engaging consumers to look for the WWF Panda logo and FSC® label on product packaging to support responsible forest management. The “Heart Your Planet” collaboration launched in 2017, and was the first on-pack awareness campaign of its kind for WWF in the U.S. For over a year, consumers have seen this messaging collaboration on trusted Kimberly-Clark brands, including Kleenex®, Scott, Cottonelle and Viva. “Given the popularity of Kimberly-Clark’s brands and WWF with consumers, this partnership is essential to increase consumer preference for FSC®-certified products from responsibly managed forests,” said Corey Brinkema, president of the Forest Stewardship Council U.S.
Kimberly-Clark was the first U.S tissue manufacturer to offer branded FSC®-certified products starting with Kleenex® facial tissue, and it is the first in the industry to have 100% of its suppliers certified as providing fiber from responsibly managed sources. The company also continues its commitment to sourcing 100% virgin wood fiber for its products from certified sources, and it is expanding this commitment to fiber-based packaging. Since 2009, Kimberly-Clark has increased the use of environmentally preferred fibers, including FSC®-certified fiber, in its global tissue products to 89 percent. This is the third FSC® Leadership Award Kimberly-Clark has received since 2014.